1. Heat oil in 12-inch skillet or wok over high heat. Add chicken; stir-fry 2 to 3 minutes or until brown. 2. Add salsa, ketchup, brown sugar and mustard; cook 3 to 4 minutes, stirring constantly, until chicken is no longer pink in center. Serve in tortillas. Pop the package of chicken in the freezer for about 1 1/2 hours before cutting. The chicken will be easier to cut if it's partially frozen. 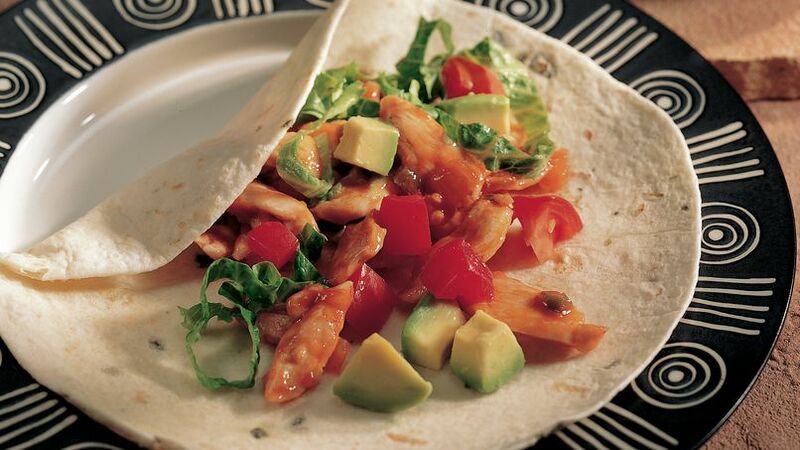 Serve-with: To accompany these zesty fajitas, set out bowls of shredded lettuce and chopped tomato, avocado and onion.